View more documents from Roberto Ovalle. all work from the semester gathered in one poster. View more documents from Stine Nilsen. View more documents from Laura Ve. Exhibition poster; Face-lift do Möllevången attractive ! View more documents from Kuo-Chen Mo. 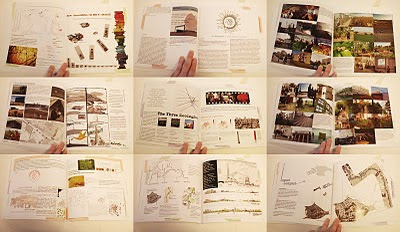 City as Biotope - the book! We are very happy to present the book - fresh from printing and vernissage in Bergen! You can order it from us by mailing firmapost@70n.no or buy it from BAS by contacting line@bergenarkitektskole.no for 200,-. It is also possible to download as low res pdf here: City as Biotope PDF (44,5M). Happy students and teachers at the master studio expo at BAS. 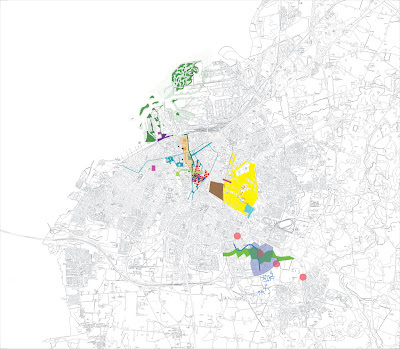 Learn more about the three studios: Architect in a foreign culture, Eco Urbanism and our City as Biotope. The students' work will be exhibited at BAS from Friday January 22. The presentation of the City as biotope studio will take place the opening day at 9.00-10.30 and the book will be for sale! A reminder to all the students to prepare their boards according to instructions you've all received by e-mail. Apparently, our project A Sunny Day at Fredriksberg has finally been published at Google Maps and Google Earth. You can find one pic on Google Maps, and when clicking the author (in the right lower corner) you will find all of our pictures. Then, you can again click on "show in Google Maps" or "Google Earth" and finally, all pictures will appear. We're now preparing the book and all the students have received an e-mail with some info and instructions - if you haven't please contact me. The deadline for your contributions is January 10. View more documents from Tove. View more documents from miial. View more presentations from Zlatan Dikic. View more documents from tengmiao. View more documents from chrisH318. View more documents from Kolbjørn Haug. View more documents from Bergen School of Architecture. View more documents from Ragnhildsin. View more documents from Bergen Arkitekt. View more documents from Kristian Bekkenes. View more documents from gauteaas. About the possibilities of a forest and the adapted building. View more documents from Tone Berge. View more documents from hermanhammer. What I heard. What I saw. What can be. View more presentations from Roberto Ovalle. The methods, investigations and proposals developed and put into play at our master studio City as Biotope are now edited into a book! mosaïc::reading - the city as biotope is a master studio at Bergen Arkitektskole run during the autumn term 2009 by Gisle Løkken, Magdalena Haggärde, Kjerstin Uhre and Knut Eirik Dahl. Under the themes of new hierarchies, imbedded information, elasticity, dynamic of small cultures, points of departure, vulnerability and charging the landscape with new energy different aspects, ideas and possibilities of planning will be discussed and discovered - at the school in Bergen, on study trips to Malmö and Paris and on this blog. The blog will grow with the students' work, the presentation of new themes and your comments - join the conversation!